Have you ever experienced an unexplained chill when you walked into a building? Have you felt like you weren’t alone in a secluded room? In the Greater Syracuse Area, we have plenty of options for a spine-tingling adventure. Some of our haunted locations have made it into the New York State Haunted History Trail - the FIRST and ONLY statewide paranormal trail in the country. Originally known as a stage coach stop called the Munro House, the Wayside Inn was built in the 1800&apos;s. Reports of ghostly activity at the location date back to at least the 1960s. While the building was closed after a mysterious second fire, a passerby looked in the windows and saw a transparent woman in a long dress on the stairs. There have been numerous reports of the apparition "Sara" since this event. Sara is believed to be the young girl who hung herself on the third floor. Since the 1960s, there have been many sightings of various ghostly beings and reports of paranormal events. Most of the poltergeist-like activity is attributed to a friendly ghost named Harry. However, there are other ghosts that are also thought to be spending their afterlife in the building. They include the Inn&apos;s original owner, Squire Munro, and an unknown traveler who died in the building. There have been multiple reports from employees (along with patrons) about a male figure dressed in a soldier’s uniform, and shadow figures in the basement. Many patrons and bartenders have felt touches, pokes, cold spots and had their hair pulled. Glasses fly off the bar without explanation, pictures drop off the walls and orbs show up in photos taken there. To this day, many New York State Troopers believe the building is haunted after responding to calls of strange lights and activity inside the building. A spirit by the name of “Clarissa” is said to inhabit the Landmark Theatre and usually appears in a white dress with the aroma of lilacs. According to her story, Clarissa, an actress, fell off the balcony in the theater after either jumping to her death after her witnessing her boyfriend get electrocuted or she fainted over the railing. Either way, she’s known as a “good” ghost. 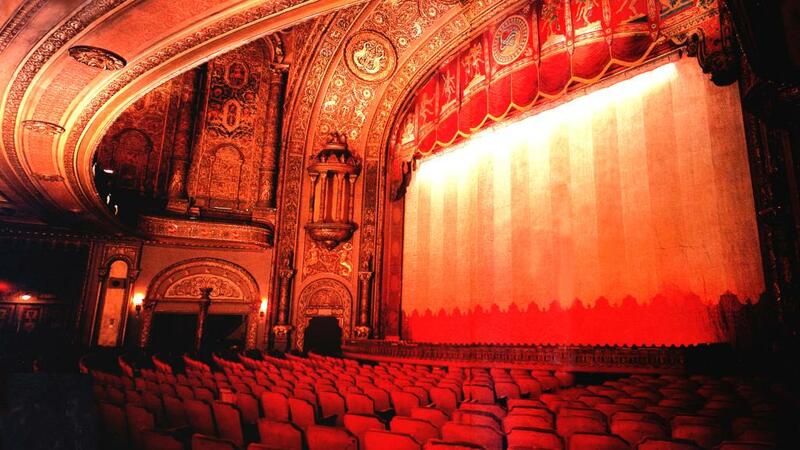 The Landmark remains the city’s most elaborate movie palace, built in 1928 as part of the Loews theater chain, but often hosting live stage performances. As the story goes, 70 years ago, a newly married couple was killed in an auto accident trying to go through the treacherous curve of Onondaga Hill. It is said that a woman in a white gown can be seen through the woods looking for her groom. The Screamer - A sanitarium was burned down in 1912 to clear a spot for a watershed for the city of Syracuse. The site is located on Skaneateles Lake. The Sanitarium’s caretaker was said to have perished in the fire. His screams could be heard across the lake. Even in life, he was a nasty jealous man and now takes out his revenge on those at the summer camp across the lake. He can be seen and heard at night pacing the wooded cliffs above the camp brandishing his sharpened scythe and wailing. This museum is home to several ghosts. They include a group of see through children who play in the courtyard, a woman who was killed where the model canal boat now sits, a pair of arguing men, and the specter of a heavyset man whose footsteps are still heard tromping down through the 150-year-old hallways. This may be the spirit of Frank Buchanon, the museum’s founding director, who is said to still walk the building. It’s a five-mile road with no streetlights or houses. It’s all forest. It’s said that back in the old days, devil worshipers and members of the KKK used to worship there and kill children as sacrifices ... it’s said that if you drive down the road at night you can see the children walking and there is also a bloody blanket. Nikita Jankowski is the Communications Director for Onondaga County’s leading tourism organization, Visit Syracuse, Inc. She heads the organization’s public relations and communications initiatives, develops the seasonal visitors guide, is responsible for the company’s international outreach initiatives and presence at media/travel shows. Nikita’s role also involves hosting and generating content for travel trade professionals and media representatives to encourage travel to the Greater Syracuse area. Prior to joining Visit Syracuse, Nikita worked as the Director of Marketing and Tourism for Watkins Glen, in New York’s Finger Lakes region, owned a small marketing firm and worked in the Corporate Communications department of Fortune 500 Company Corning Incorporated. Nikita started her professional career as a television news reporter; delivering “live”, daily news coverage on ABC, FOX and CBS affiliates throughout New York State and Maine. Nikita is a graduate of the historic Tuskegee University with a Bachelor of Arts degree (Concentration: English/Communications). A former member of the Watkins Glen Rotary, Nikita serves on the Board of Directors for the Public Relations Society of America of Central New York (PRSA-CNY), she’s an Executive Committee member of the national PRSA Travel & Tourism Section and serves on the Advisory Committee of Social Media Breakfast (SMB) Syracuse; a national initiative for teaching, sharing and learning about industry best practices.